At the age of 6, I was invited to an after school children’s outreach at a friend’s. It was there that this beautiful Latino woman, via flannel board, showed me my black heart, and God’s love for me, and how His love could clean my heart. I was a child that craved love more than anything else. I wanted to be “special” to someone. His love drew me that very day, and I accepted Him into my heart, and my life has been set on a coarse for Heaven every since. There were years of backsliding, and living for the world, and my flesh, but always His love would draw me home. At the age of 18, in one of my darkest times, Jesus came and visited me in my sleep. We walked on the banks of the Jordan, talking for hours, and He saved me from thoughts of suicide that I had been harboring. I’d like to say my life changed immediately the next day…but it took two more years to turn things around. I rededicated my life while pregnant with my daughter. After we almost lost her to a miscarriage, we returned to the only source of life, our Father God. We have lived for Him these past 27 years, not always perfectly, rarely in fact. But His love continues to strengthen, and rescue me! God’s love is amazing. He has many things in store for us, but all are conditional, except one. His blessings, healings and abundance are all conditional on our beliefs and on us receiving them. His salvation is conditional on our admittance of our sin, and our need for Him. Forgiveness, on our repentance, our call, on our willingness to be used. The list goes on. He has so much He wants to do for us and to give us, but all depend on something from us. Then there is His LOVE. We can’t earn it. He loved us before we knew Him, before we ever said “I do” to Him. We can’t lose it, or every time we got angry with Him, questioned or doubted Him, He would have forsaken us. 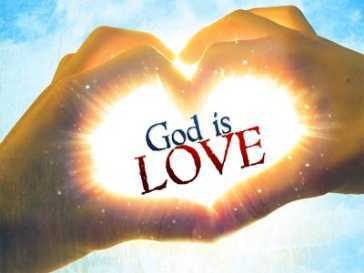 God loves people, good people, bad people, sinners and saints alike. Jesus knew who would betray Him, yet He called Judas and loved him, and treated him like every other disciple. God’s love was so great; He sacrificed Himself to redeem us from the earth cursed system. Rom 8:37-39 ” No, in all these things we have complete victory through him who loved us! For I am certain that nothing can separate us from his love: neither death nor life, neither angels nor other heavenly rulers or powers, neither the present nor the future, neither the world above nor the world below — there is nothing in all creation that will ever be able to separate us from the love of God which is ours through Christ Jesus our Lord.” Come to His love today; let it keep you in this evil day. Let it give you hope. Take strength from His unfailing love.